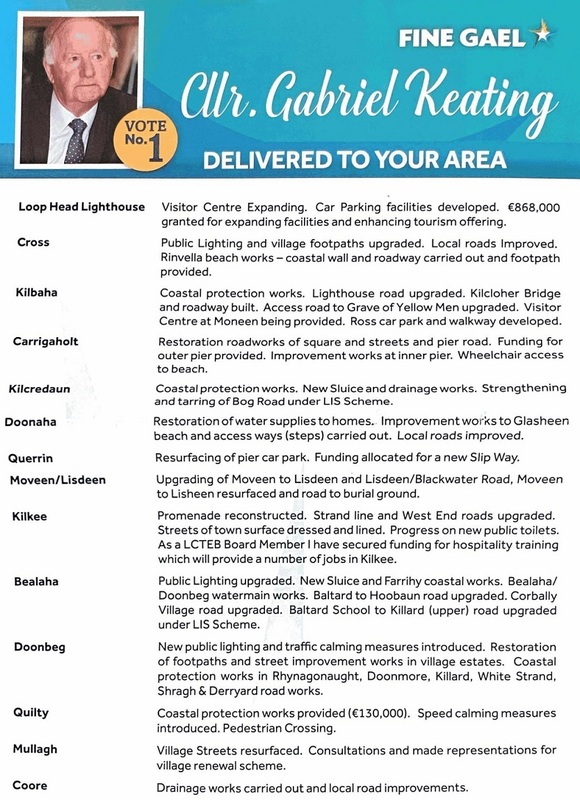 A Leaflet from Gabriel Keating running for Fine Gael in Kilrush for a seat on Clare County Council. 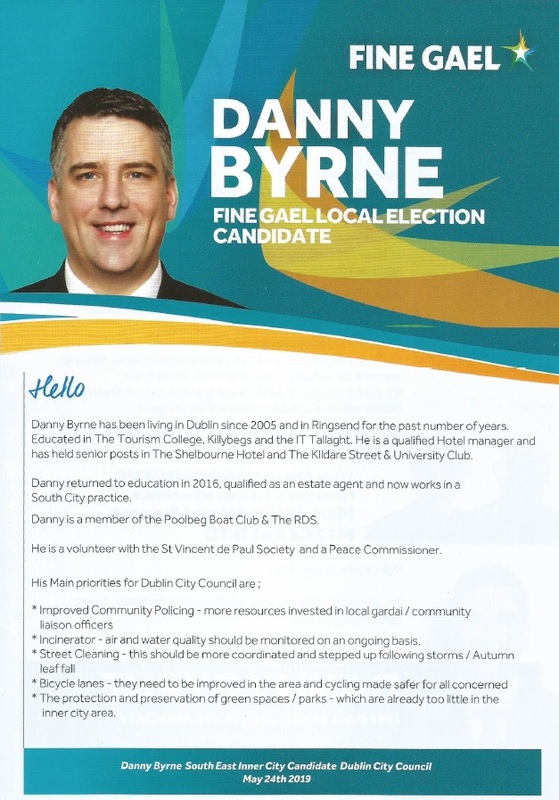 A Leaflet from John Dolan of Fine Gael who is running in Athlone for a seat on Westmeath County Council. A Leaflet from Gerard Cooney of Fine Gael running in the Longford LEA. Leaflet from Marian Hurley of Fine Gael who is running in The Limerick City East LEA for a seat on Limerick County Council. 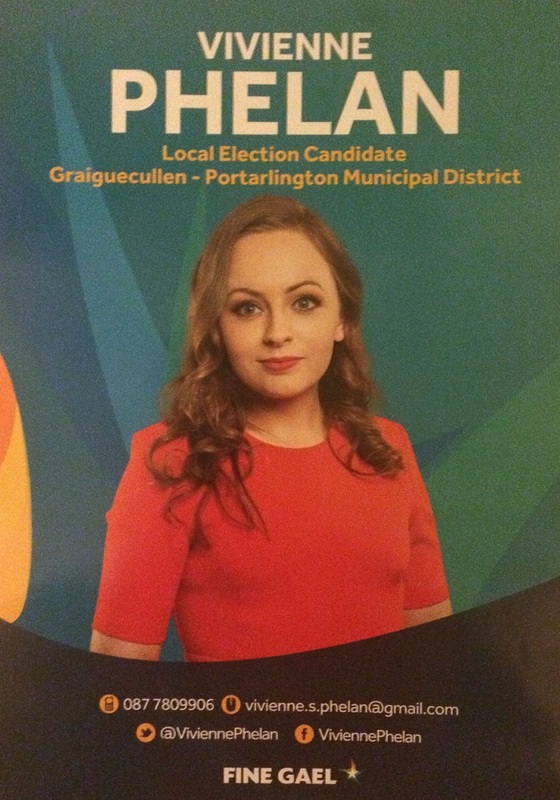 A Leaflet from Vivienne Phelan of Fine Gael running in Graiguecullen-Portarlington for a seat on Laois County Council. 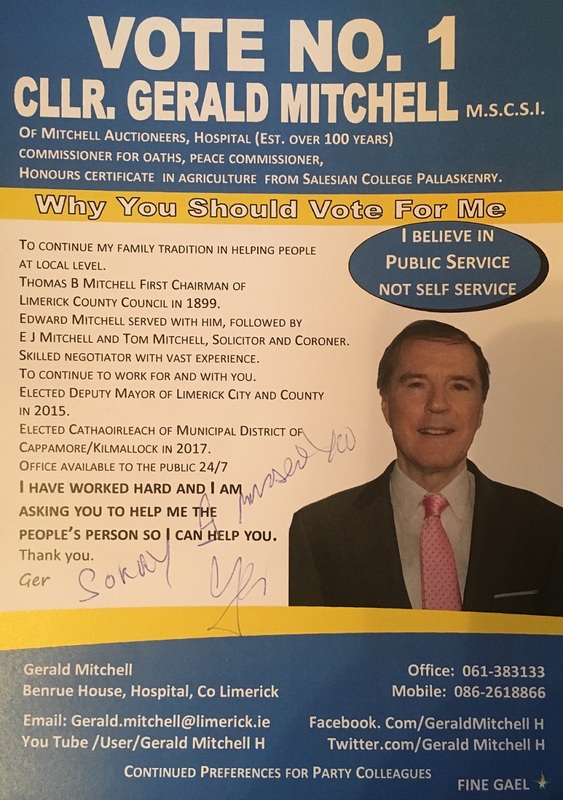 A Leaflet from Gerald Mitchell of Fine Gael running in Cappamore-Kilmallock to retain his seat on Limerick County Council.